First off: Big props to the minds who decided to merge four of Venetian Village’s restaurants into one hurrah of a Friday event. Brunch Town is one of the most exciting brunch-related developments to hit the capital in a long time. Here’s the deal (because it’s a little bit confusing): Make a reservation at either La Brasserie, Barfly, Todd English’s Olives or Tokyo Grill. Arrive and get a wristband. Know that you can stroll around to the other restaurants and pluck items from their buffets – and order cocktails from their bars – at will. 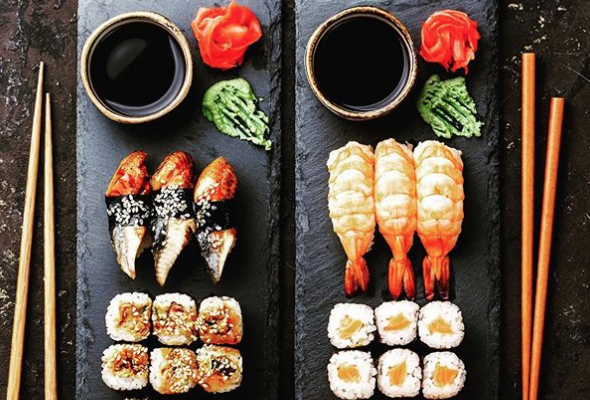 Mains come from your chosen venue, but don’t worry, a variety of dishes will be delivered from the others, too. 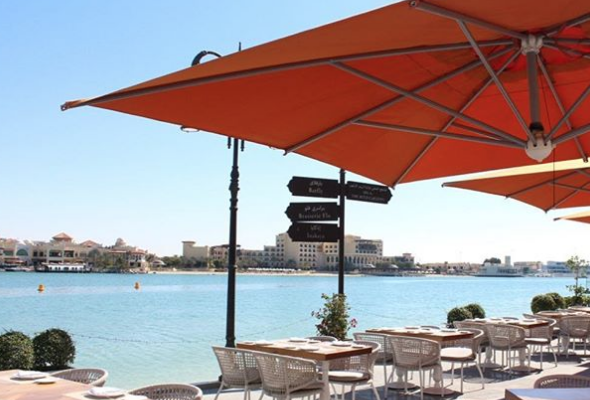 We booked via La Brasserie and sat outdoor by the waterfront, which we’d highly recommend. Music from the lively band next door at Olives was audible enough to lend the area a festive vibe. Inside La Brasserie, there was an assortment of salads, cheeses, fruit and nuts, as well as prepared items, including goat cheese pastilla, a creamy foie gras terrine, and a range of individually portioned desserts. Our mains were seared cod fillet, roasted striploin, grilled honey-glazed chicken and braised beef – all grilled to our preferences. Juicy and succulent. The only problem was, we’d done a little too much wandering from buffet to buffet and sampling the dishes brought by – in particular, the rich mushroom risotto from Olives and sashimi from Tokyo Grill – to do them justice. Bear this in mind and plan accordingly. Staff were still working out the kinks when we tried out the brunch and they are to be commended for their work, as this marks the first time any of these eateries have tackled buffet service. The best and largest buffet of the four was at Barfly by Buddha Bar, where there was a broad range of tasty dim sum, tangy made-to-order Pad Thai, a barbecue station and a superior sushi selection. There were also perfectly sweet-and-spicy mango mocktail mojitos and the best desserts, including a standout: tiny pots of the Sri Lankan watalappan, a custard pudding made from coconut milk, palm sugar and assorted spices. Head to Brunch Town at Venetian Village for a fun Friday afternoon and do it soon, while you can soak up the outdoor atmosphere along the Grand Canal.